Alan Edwards, founder of the Outside Organisation, is hosting an event looking into the role of PR in society today featuring leading figures from across the industry. Alan Edwards: "Unique record of the explosive growth of PR in the UK"
Edwards moved into music PR in the 1970s and has worked with The Rolling Stones, Michael Jackson, Naomi Campbell, The Spice Girls and the Beckhams. He will reflect on the evolving role of PR in fashion, culture, media, entertainment, sports and politics over the past 40 years. The event, which is being sponsored by PRWeek, will take place over the course of three weeks in the V&A’s theatre and performance galleries from 21 April to 9 May. 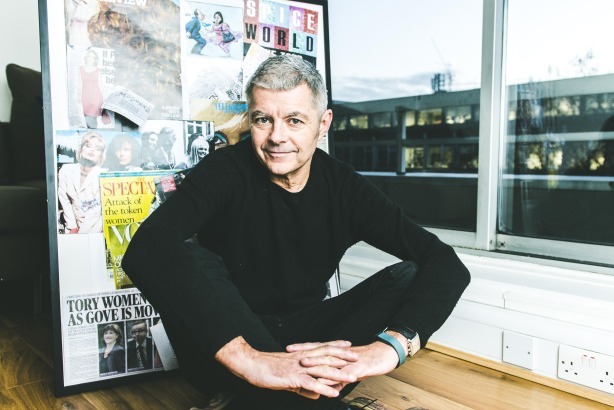 Guests include Bell Pottinger's Tim Bell, founder of BBH John Hegarty and Lynne Franks. Topics they will explore range from why politicians hang out with rock stars to the way PR can shape fashion and how PR has adapted to embrace a new generation of media influencers in the digital age. Edwards said: "I started as a school kid by filling scrapbooks with football pictures and programmes and quickly progressed to music memorabilia and anything that caught my eye as culturally interesting. By the 1990s, I had a mass of scrapbooks and diaries and about ten years ago I realised that they represented a unique record of the explosive growth of PR in the UK. "Given the changes that the media and PR industry have been through recently, 2015 seemed a good time to create a live event to present some of this unique story to the public." Geoffrey Marsh, director at the V&A, said: "The V&A is renowned for its exhibitions and collections relating to art and design, fashion, popular culture, politics, photography and performance. The opportunity to hold a live event about the important role that PR plays in contemporary culture is exciting, particularly in the three weeks running down to the general election."